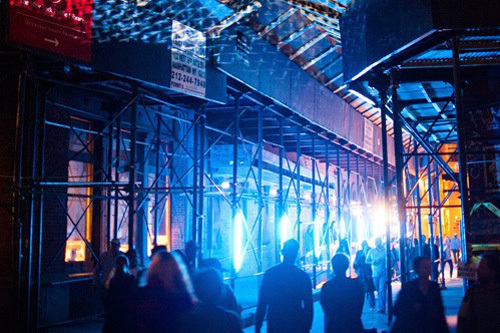 If you’re in NYC, you might want to check out the Bring to Light Festival tonight in Greenpoint, Brooklyn. 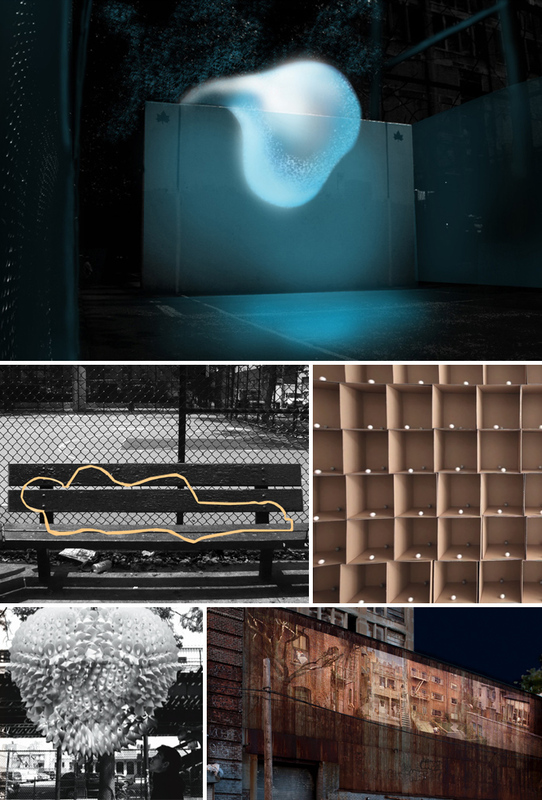 Taking place simultaneously with “nuit blanche” events in other cities around the world, the festival will showcase site-specific installations of light, sound, performance and projection art from emerging, as well as established, artists re-imagining public space. The streets and waterfront of Greenpoint will be transformed. Sounds like something that shouldn’t be missed. The ferry schedule will be extended till midnight from East 34th St. Pier in Manhattan and N. 7th St in Williamsburg. You can see more on how to get there here. And more about the festival and artists here. This entry was posted in Art, Event, Fun, NYC, Pop Culture, Street Art. Bookmark the permalink.